ASIS 2015 — Anaheim, CA (September 28, 2015) – DW®, the industry leader in digital recorders, surveillance cameras and related management software, is conducting final quality assurance testing of the world’s first 48MP multi-senor camera with fast frame rates. 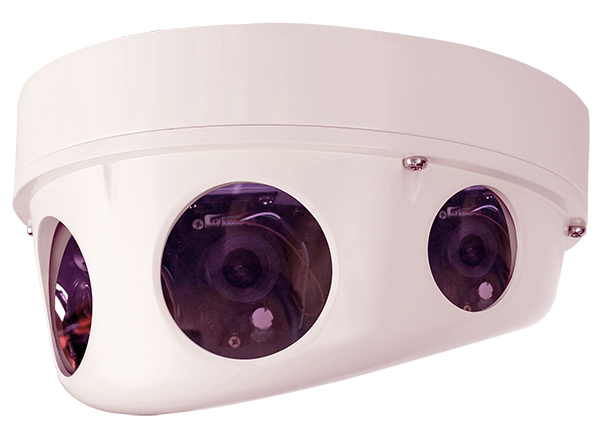 The MEGApix PANO 48MP 180° View Camera will be demonstrated at the ASIS International Seminar and Exhibits, September 28 – October 1, 2015, in Anaheim, California, Booth 531. Four 12MP sensors are configured for 180° panoramic views and deliver video streams at up to 30fps. The new DW® MEGApix PANO 48/32MP 180° View Cameras are the first multi-sensor IP cameras in the industry to deliver full frame HD video streams at up to 30fps at 32MP; 15fps at 48MP. With auto-focus lenses standard, these cameras are the perfect solution for wide area surveillance plus plenty of resolution to zoom in for details. In addition, VCam™ technology provides multiple views from a single video stream, making the MEGApix PANO 48MP many cameras in one. MEGApix PANO 48MP Cameras are scheduled for availability later in 2015. DW® empowers our customers as the industry-leading single source of value-driven complete solutions for all video surveillance applications (analog / hybrid / IP enterprise), focusing on ease of use and ROI. DW® products offer technologically-advanced features including Star-Light™ super low light technology, WDR, Smart DNR™ and Smart IR™. Complete IP megapixel surveillance solutions include MEGApix® cameras and edge recording systems, Blackjack™ NVRs and DW Spectrum™ IP VMS for server, mobile and on-camera control. Complete analog surveillance solutions include STAR-LIGHT AHD™ 1080p and STAR-LIGHT MPA™ 1.3MP 960H cameras, VMAX™ DVRs and mobile management applications.